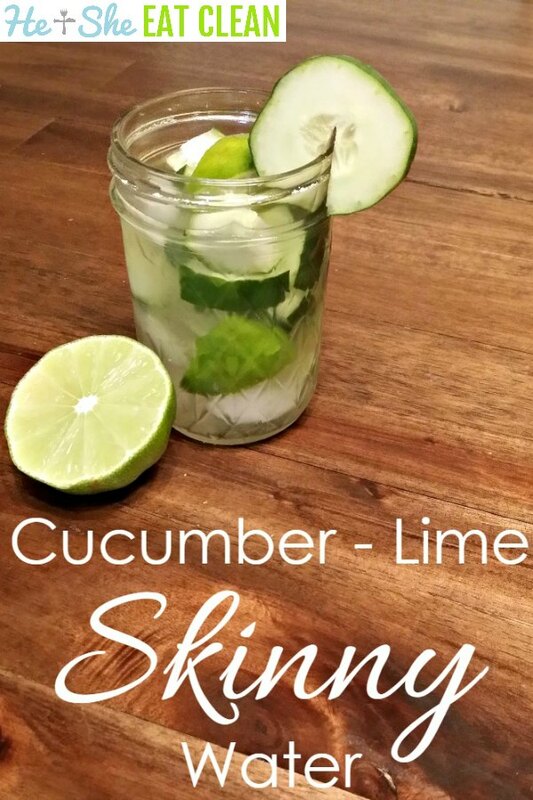 Cucumber-Lime Skinny Water is a great drink for helping with occasional bloat or a little fatigue. While the water won’t replace working out or eating healthy, if you drink it, you will definitely notice that your body is ridding itself of excess water – fast! Infusing water with fruit and vegetables is all the rage and for good reason! Many fruits, citrus especially, have slimming effects, especially when paired with our favorite, apple cider vinegar. You might be thinking that such a combination would be too tart, but we beg to differ! Add a little stevia and you are well on your way to a VERY low-calorie, slimming drink that’s sure to take away your urge for one of those fizzy, sugar-laden soft drinks! Have extra cucumbers left over? You can make our Cucumber Zings recipe – they are a great alternative to a store-bought, pickle! Combine filtered water, lime juice and limes, cucumbers, apple cider vinegar, and stevia in a large container with a lid, or a mason jar with a lid, stirring with a wire whisk to ensure all ingredients are thoroughly mixed. Place lid on container and store in refrigerator overnight so that the water will be properly infused.